NEK PSD: Not an Export Kit PSD, this means that you are using a Photoshop file that is meant for design and not export. 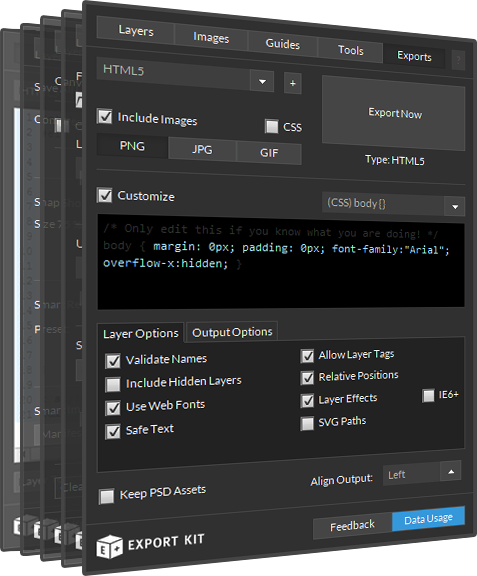 These PSD files will produce a basic output, but not advanced options such as Responsive. Export Kit is very advanced with amazing HTML, CSS, JS and PHP capabilities – but you must learn how to use them! If all else fails and you want us to do it for you, then try one of our support packages for an in-depth PSD review and optimize. Do not assume your PSD will export perfectly without making changes. There are many common errors designers make such as not grouping layers in the correct folders, and not trimming unnecessary whitespace from their design. These errors and more, along with the correct fix for each can be found in our Optimization Tips. *YOU MUST READ OUR GUIDES* to ensure your PSD exports 100% as expected. Responsive designs require the correct layer tags - but you must read how to use them, we have over 40+ tags! Also note a Responsive Webpage should look like this template 801. You must organize layers and folders – if you stack all your layers into a single folder – that’s what you get in the output! 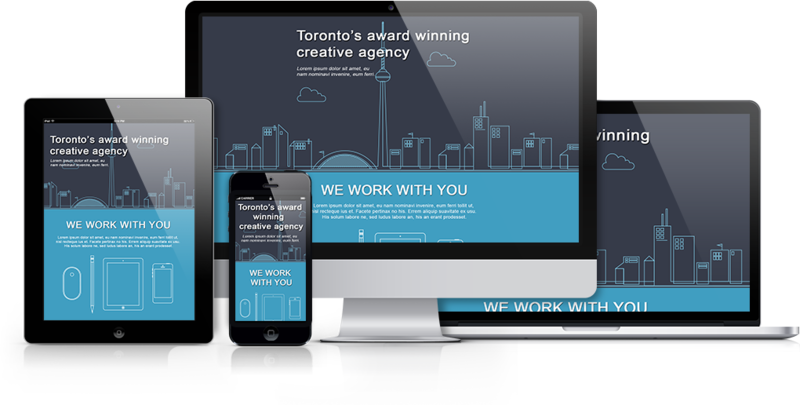 Responsive designs are complex by nature, we make it very easy but you must follow our guide. *READ* / *WATCH A VIDEO* / *TEST THE PSD TEMPALTES* - you must do one of these! The options you select can drastically change both the visual and code output of your project. You must use the correct options respective of your current project requirements: http://exportkit.com/answers/what-are-the-recommended-export-settings.